Fine Insect Net pop up protection designed to act as a barrier to all but the most minute bugs with its 0.6mm mesh. 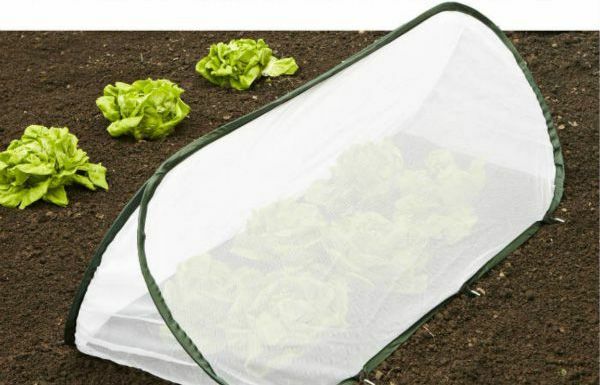 Effective barrier against Carrot Fly, Aphids & Fleas (of the vegetable eating variety!). Simple to use the flexible spring steel frame opens up in seconds and for storage they fold away easily. Kit includes instructions, pegs and storage bag. Three different sizes and sold as individuals or packs of three.